The Maryland Zoo promotes the conservation of polar bears through education, research and ongoing collaboration with Polar Bears International (PBI), the world’s leading polar bear conservation organization. PBI is dedicated to saving polar bears by saving their sea ice habitat, which is rapidly receding due to global warming. The Zoo supports the work of PBI through funding, education programs, and staff expertise and involvement. 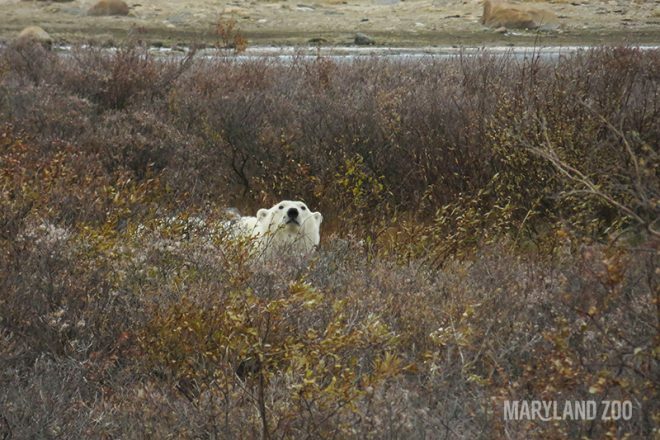 Multiple staff members have traveled to Churchill in Canada to observe polar bears in their native environment and actively participate in their survival in our changing world. 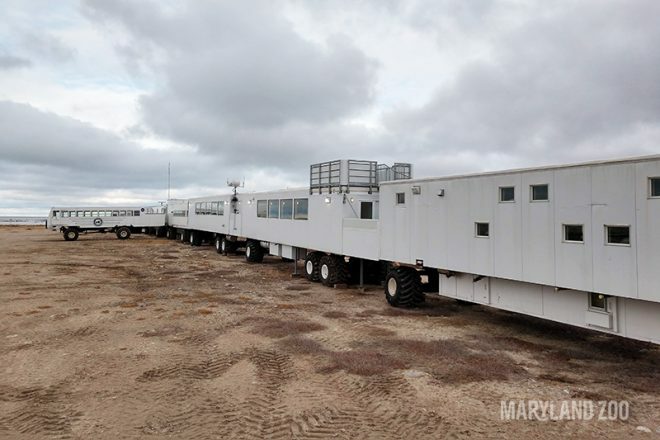 Upon their return, staff members become active Arctic Ambassadors, creating and leading initiatives to combat climate change in their Baltimore community. 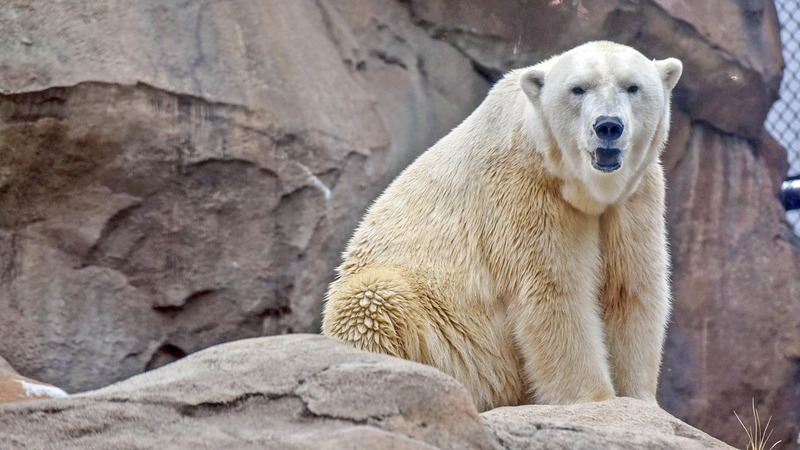 The Zoo also helps advance scientific understanding of polar bears through its participation in multiple research studies that result in improved care of polar bears in zoos and can often be used to better understand and protect endangered polar bears in the wild. 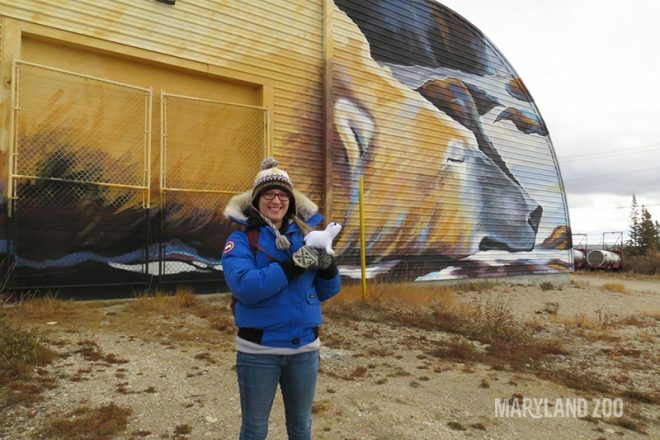 In October 2018, Polar Bear Watch keeper Emilee Herbert traveled to Churchill in Manitoba, Canada to work with Polar Bears International (PBI) and other members of Arctic Ambassadors Centers (AAC). The mission of the trip was to further learn about the polar bear population specifically in Churchill, as well as how to further improve the well being of the bears at The Maryland Zoo and elsewhere. 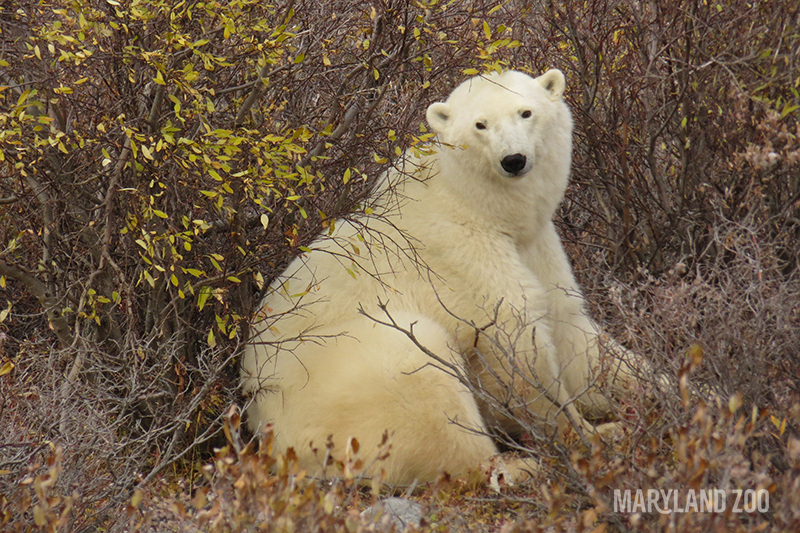 PBI is one of the sole organizations that works with scientists, zoologists, and keepers across North America to promote the welfare of wild polar bears, as the species is now listed as Vulnerable according to the International Union for Conservation of Nature. 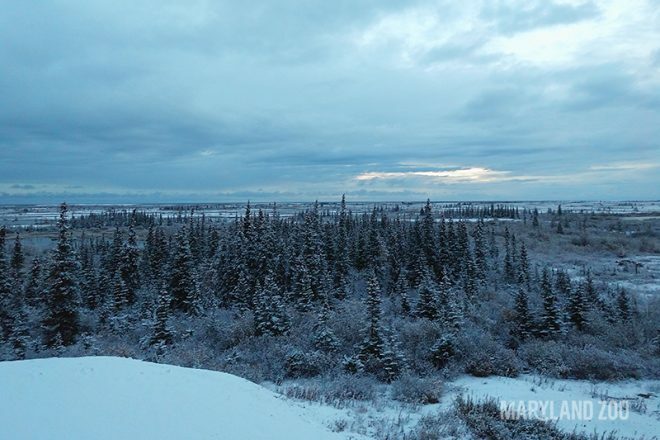 As part of the program, Emilee and the other facilitators were able to be immersed in the Canadian tundra to study the homeland of the native polar bears. Each night, the group would get the chance to share their unique experiences on the tundra buggy and their passion for polar bears and overall Arctic conservation. Although polar bears have faced extremely warm temperatures the last couple of years and most likely will continue to be negatively impacted by climate change, Emilee and PBI have stressed that one can still take proactive measures to improve the current climate situation and preserve the ecosystems the bears live in.